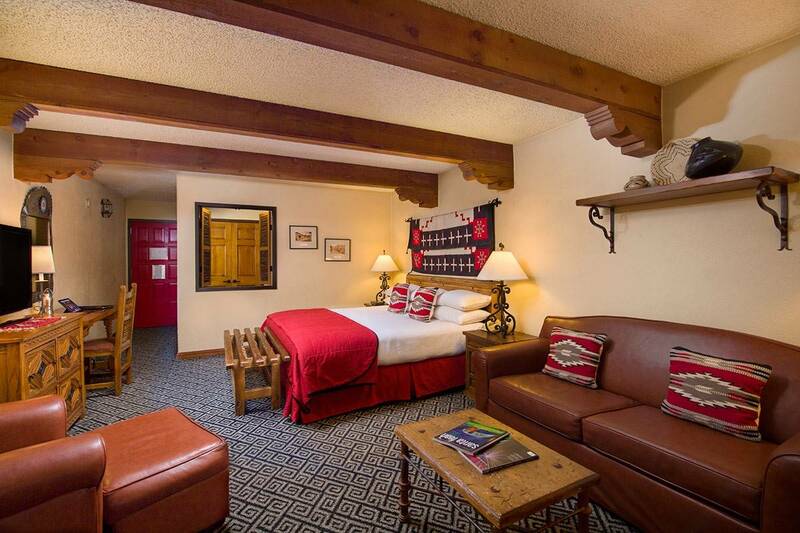 Spacious and luxurious, these Deluxe rooms are Inn of the Governors’ best value in luxury and comfort. 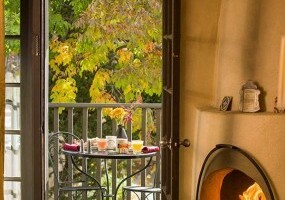 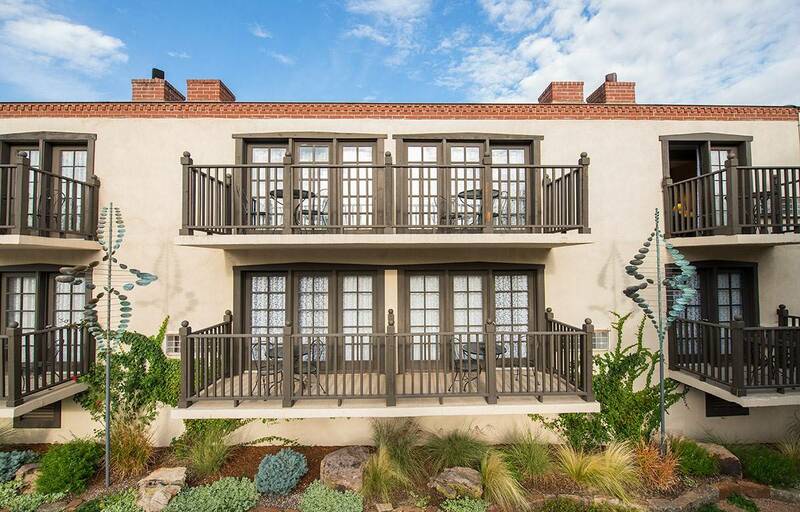 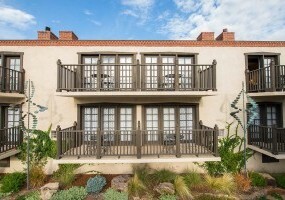 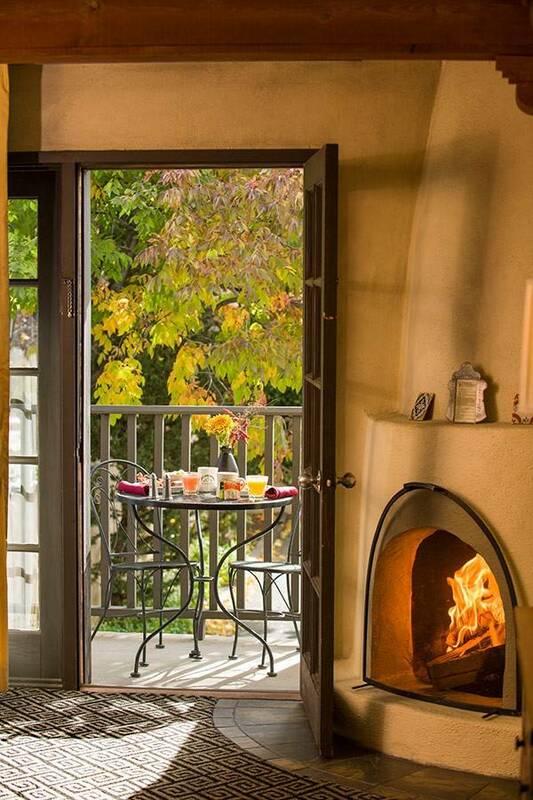 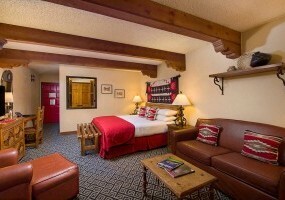 When you picture hotels in Santa Fe, these are the rooms that come to mind. 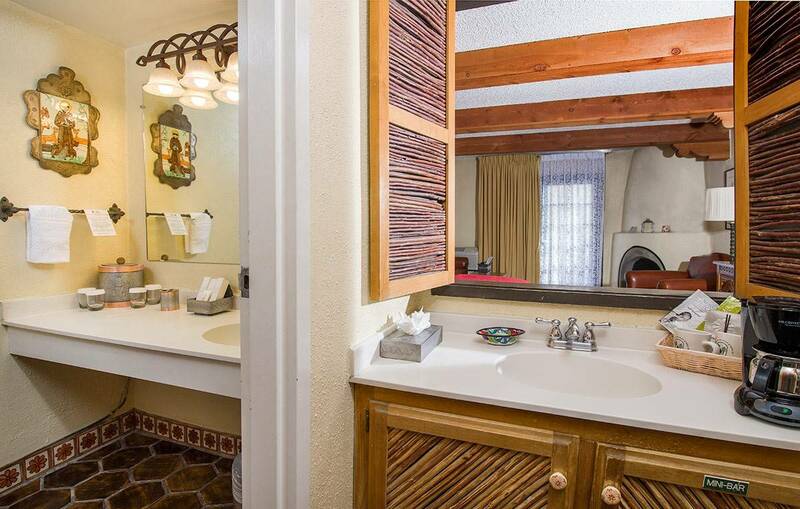 The room has one king or two queen beds, a pull out twin sleeper sofa bed, dual vanities, stocked mini-bar, in-room safes, small table & chairs, seating area, and French doors opening to a private balcony. 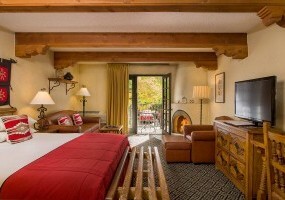 Most of the rooms also have kiva fireplaces. 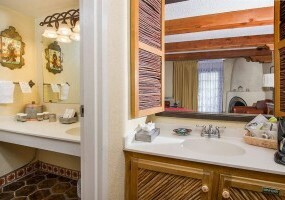 There are 13 Deluxe Rooms at 280 sq. 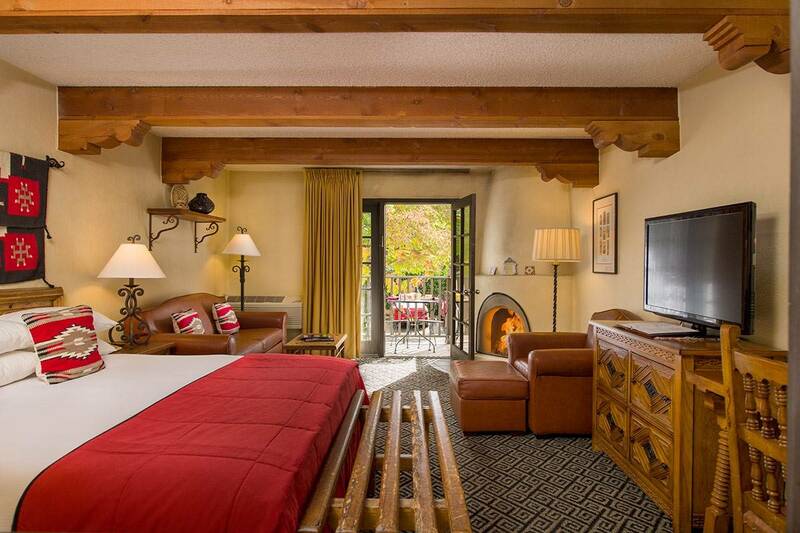 ft. each; nine of these rooms have fireplaces. 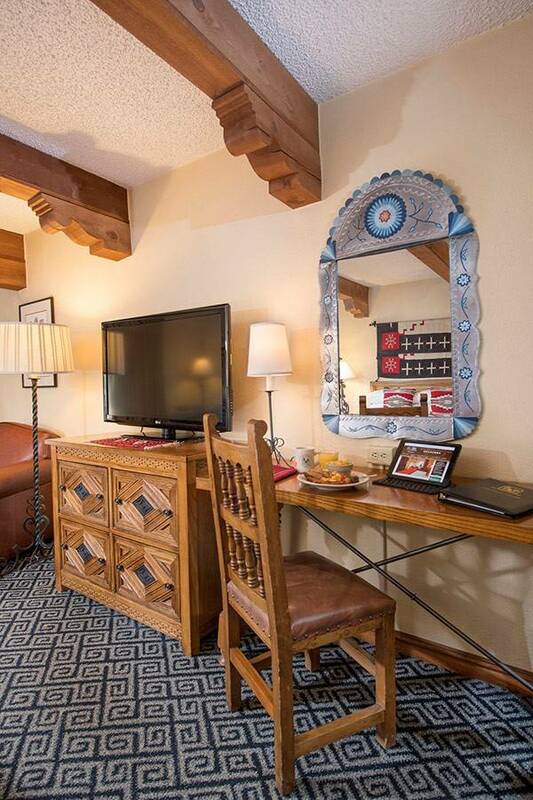 Find a home away from home in our Santa Fe hotel, deluxe rooms.